Today was a long day walking over hills and through forest, during which I only saw one other person - quite remarkable considering it's a bank holiday weekend! 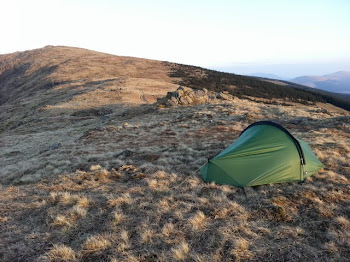 The following couple of photos show the summit of Corserine, the highest point for this backpack, and tonight's ridge top camping spot. 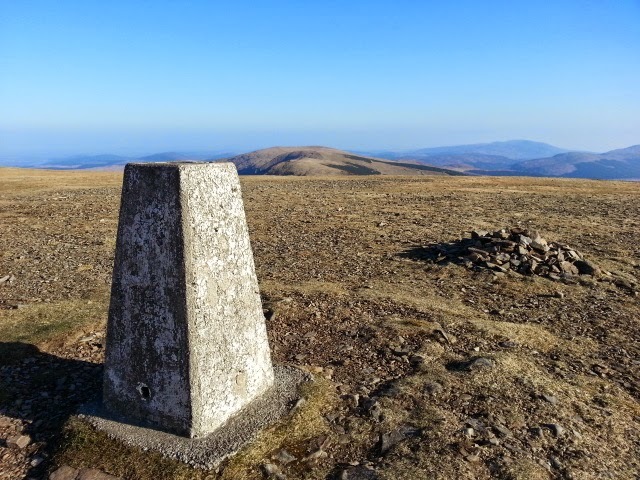 Tomorrow I head for Millfore and Lamachan Hill. Just look at that weather!! !